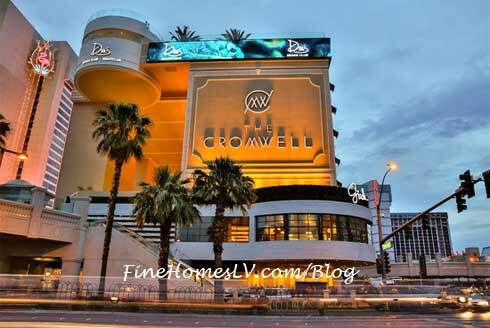 The Cromwell is Las Vegas’ first hotel to utilize Kaba’s cloud-based, BLE (Bluetooth Low Energy) enabled locks featuring Legic ID Connect, to deliver a convenient and secure mobile key experience to hotel guests. Kaba provides the SaflokTM and ILCOTM brands of electronic locks. This launch is the first step in a larger initiative to bring eKey to the majority of Caesars Entertainment affiliated properties, including nine resorts on the Las Vegas Strip. 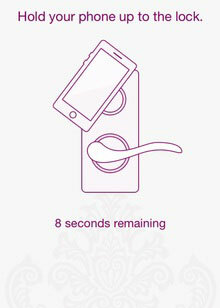 The flexibility of a mobile key creates a modern and convenient hotel experience for hotel guests. “Since its debut earlier in 2014, The Cromwell is bringing a new type of luxury and connected experience to travelers. eKey is just another feature that our tech savvy customers can enjoy during their stay,” Shaukat added. Hotel guests using the eKey will receive a link to download The Cromwell app and an access code tied to their iOS device and reservation. 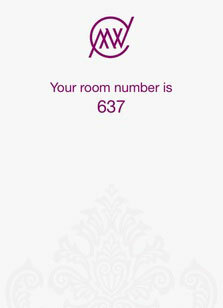 When the app is downloaded, guests enter their ID number and will be able to enter their room by placing their iOS device next to the lock. The eKey will also activate the hotel elevator as a traditional key would. Currently, eKey is available only through The Cromwell app. Ultimately, the eKey functionality will be an additional benefit that Caesars Entertainment provides to guests via the play by TR app, including the ability to communicate with hotel staff such as valet, housekeeping, in-room dining and more. The eKey technology is just one part of Caesars Entertainment’s digital self check-in experience that combines mobile and email features, allowing guests to check-in or check-out anytime, anywhere. When fully launched, Caesars Entertainment’s self check-in program will combine online, mobile and kiosks to create a unique and new hospitality experience. “Digital self check-in technology like eKey allows the guest’s experience to begin earlier, often before the guest even steps foot into the hotel. This enables guests to choose when, where and how they check-in or out of our hotels creating a level of personalization seldom found among the world’s largest hotels,” said Danielle Gaccione, director of digital product management at Caesars Entertainment. Caesars Entertainment’s self check-in program is the first step in a complete digital transformation of the hospitality experience. In addition to a seamless and connected welcome experience, guests can also take advantage of the largest indoor way finding experience available through the play by Total Rewards app. By using the app on an Android device, guests can access maps of affiliated Caesars resorts and destinations in Las Vegas to track their location within several feet, making navigation, access to amenities, and meeting up with friends significantly easier. play by TR offers a true insider experience for Las Vegas and allows Las Vegas visitors and members of the Total Rewards loyalty program to make hotel reservations, purchase show tickets and more, right at their fingertips. “Caesars Entertainment continues to be at the forefront of using technology to improve and personalize the guest experience. From next generation mobile-enabled experiences to cutting edge big data and analytics, technology is an integral part of the way we operate our resorts and create unique entertainment experiences,” said Shaukat.